How Far is Swathi Luckie Township? Swathi Luckie Township is one of the plot developments in Hyderabad offers plot of various dimensions for sale in Isnapur, Hyderabad. The locale is richly developed with all types of daily needs for you. Being located in a strategic location this project has raised up to the needs of Home buyers making this a most sought-after project. Centrally located, the township offers location advantages due to its connectivity to all important places in Vishakhapatnam, and important amenities like educational institutes, resorts, industries, etc. 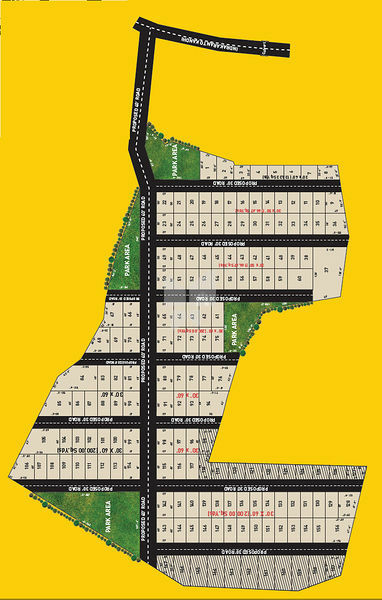 The noteworthy features of the project include Vaastu-compliant plots, pollution-free environment, park, all-around compound walls for security, convenience store, avenue plantation and many more. From the ‘City of Destiny’ to a forthcoming Smart City - Vizag has always been a city that is geared for success and fortunes. Enriched with scenic beauty, surrounded by verdant ancient hills and the azure Bay of Bengal, Vizag also has the added advantage of a cosmopolitan crowd and an abundance of educational and medical institutions. In addition, there is Start-up Village, the growing IT industry, educational institutions of national importance like the IIM and IIIT… Vizag is poised on the threshold of a major refurbishment. With a progress-driven proactive government at the helm – in the State and Centre, Vizag is all set for a spectacular future. Providing the requisite infrastructure for these major plans, Real Estate in Vizag is on the upswing and investing now in the initial stages, as plans are being drawn makes good business sense.